Named as one of 16 perfect Polynesian retreats by Conde Nast Traveller, Coconuts Beach Club is perched on a beautiful corner of the lush island of Samoa in the heart of the South Pacific. 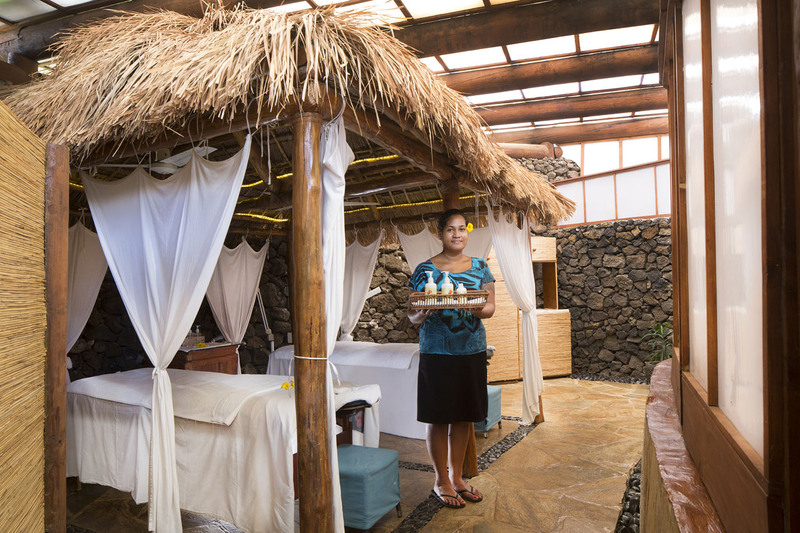 This intimate boutique hotel has just 26 rooms and with no TVs or land line phone reception (there is cell phone reception and wifi can be purchased from the local provider) you can’t help but fall into the relaxed pace of Samoan life. There is simply nothing more romantic than a stay in an Overwater Bungalow in the tropical South Pacific. 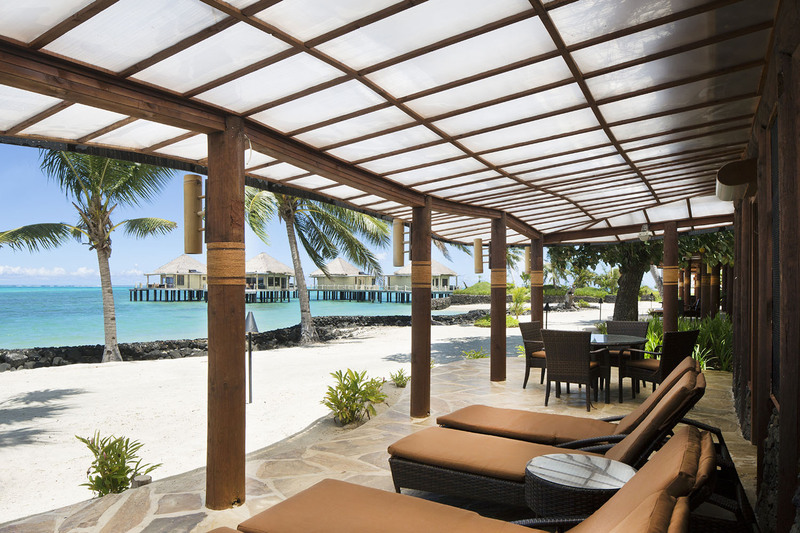 Coconuts Beach Club features Samoa’s only over-the-Water Bungalows, 6 rooms which embrace the seamless indoor-outdoor living experience that is so popular throughout Samoa. Each bungalow boasts amazing views of the beaches, lagoon and ocean and simply breathtaking sunset vistas. The Chef at the Coconut Beach Club is Mike Pirics (Mika is his Samoan name) and Mika’s Restaurant is often recognised as the finest dining experience in Samoa. He cooks up a wide variety of dishes including continental, Samoan, Asian, and European inspired food. Good sized portions including fresh locally grown ingredients. 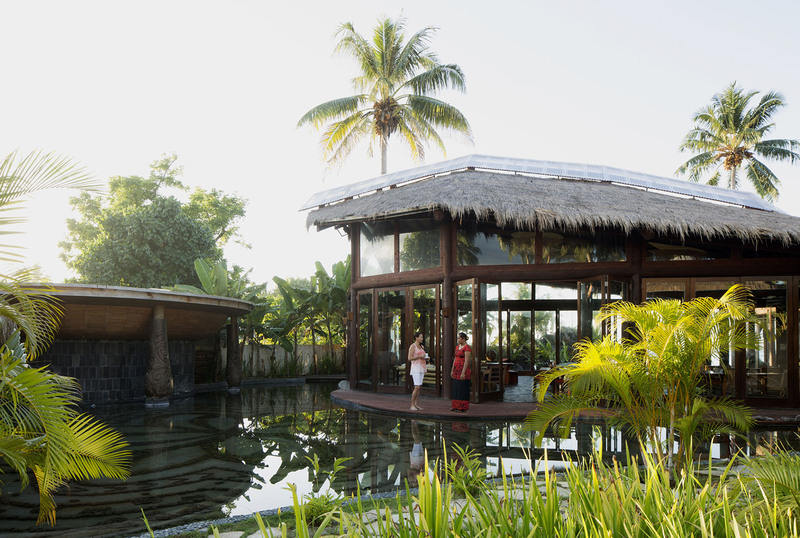 All meals are served in an elegant indoor-outdoor restaurant where you choose to dine either in the spacious and airy traditional Samoan dining room, on the open-air Palm Terrace, or at a table in the sand under the stars. All tables offer great beach & ocean views. 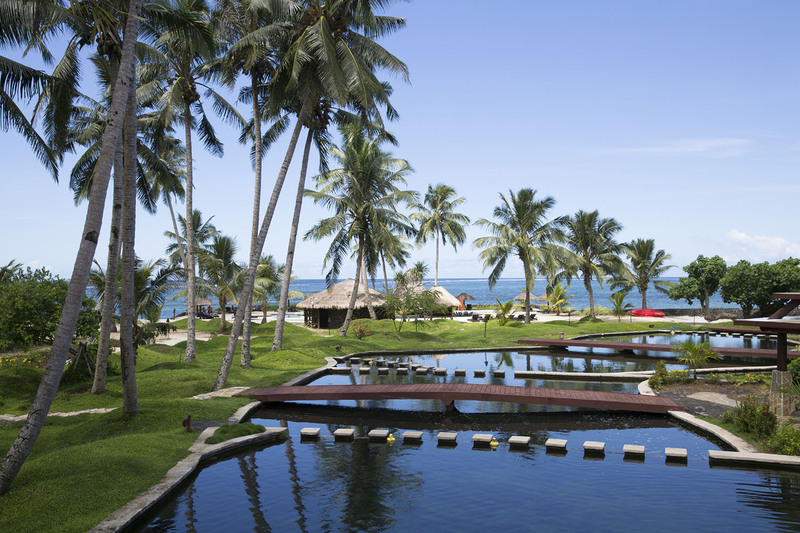 The resort sits just 40 minutes from the airport, Apia, and many popular attractions. Lalomanu beach, To Sua Trench, Sopoaga falls, Robert Louis Stevenson museum, Papaseea sliding rocks, Togitogiga waterfall are all must visits if you can bear to leave the resort. With stunning sunrises over the horizon, hidden and deserted beaches, breathtaking sunsets over the water and romantic candlelit dining on the beach, Coconuts Beach Club Appeals to honeymooners, wedding couples, families, surfers alike. This resort offers a true desert island escape in the paradise of the South Pacific.